This young adult novel is about Trent and Melanie, two highschoolers living on their own and trying to get by with very little help from the social services. The story confronts issues such as teen pregnancy and prostitution as the two do what they can to get by. Author Lesley Choyce lives in Nova Scotia, where this book was published. 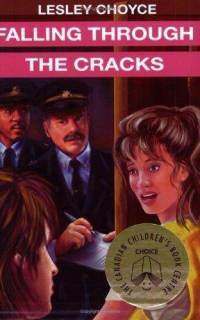 In 2010, Falling through the Cracks was reprinted under a new title, Last Chance.